We've all heard of the French mother sauces that are the basis of so many recipes. Well, if the Middle East had a mother sauce it would definitely be tahini. It can be made thick to use as a dip, typically for warmed pita bread, or thinned out to use as a sauce or dressing. The base is simply ground up sesame seeds and, when you purchase a jar in the ethnic section of your grocery store, it will be labeled sesame paste. From that base, many delicious creations can come about. The most basic form of tahini is to mix equal parts of the sesame paste and water, then add lemon juice (about a tablespoon per 1/4 cup of sesame paste), salt, pepper, garlic and perhaps a touch of heat from red pepper flakes. But a popular alternative is to incorporate some Greek style yogurt for a boost of protein and a creamy texture. 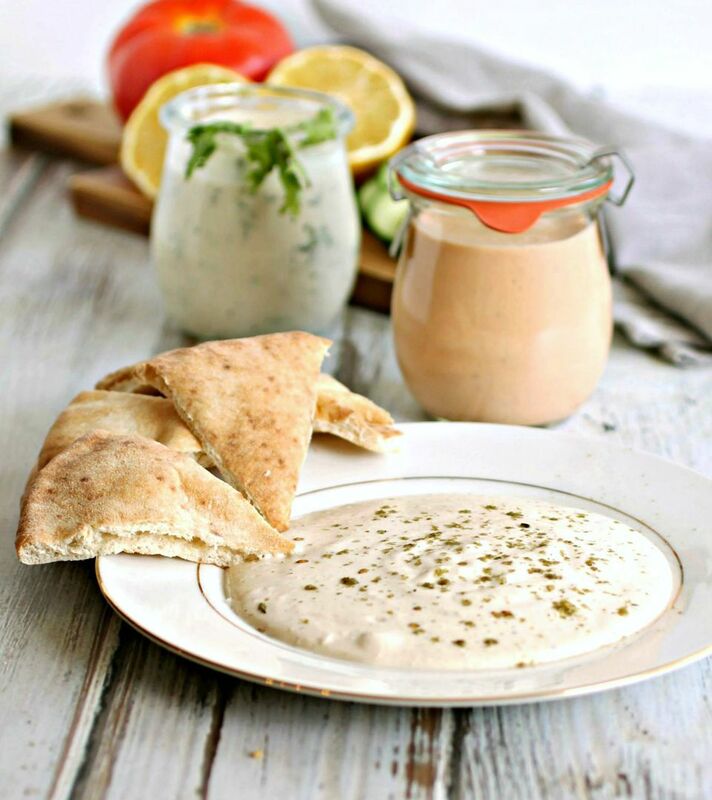 Additionally, tahini lends itself to many flavor additions and combinations such as roasted tomato, cilantro or even cucumber. All make great sauces over vegetables. If you can puree it, chances are it might be worth incorporating into a tahini sauce. My favorite, by far, is cilantro tahini. But if you prefer a sweeter taste, roasted tomato tahini will make you very happy. Just warm up some pita bread and enjoy! To make a basic Greek yogurt style tahini sauce, add the garlic clove, sesame paste, Greek yogurt, lemon juice and water to a small food processor and puree until smooth. Season with salt and pepper to taste. If you'd like the dressing a little thinner, continue adding water, 1 teaspoon at a time, until you have the desired consistency. To make a cilantro version, add 1 - 2 teaspoons of chopped cilantro to the food processor. Slice about 10 cherry tomatoes and toss with 1 tablespoon of olive oil. Roast in a pre-heated 400 degree oven for 30 minutes. Allow to cool and add to the food processor with the rest of the ingredients. Note that you can store your finished tahini sauce in a covered jar in the refrigerator for about 4 days but it will thicken as it stands. To thin it out, add a little bit of water and lemon juice, then check the seasoning again to get it where you want it.